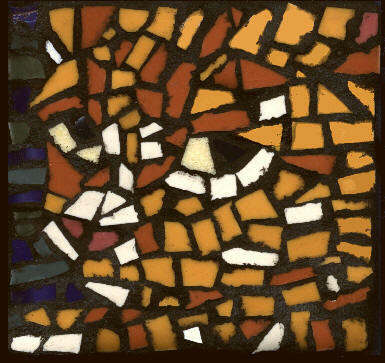 My first portrait of Minerva was done in mosiac. She looks sweet, but she's a real trouble-maker. Created for the International Miniature Invitational Exhibition at Artspace from 11/01/01-12/22/01.